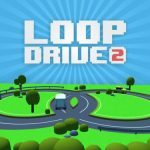 Loop Taxi is a new Android and iOS game from Gameguru, where you’ll be playing the role of a taxi driver, going from one end of the street to another in a looping motion, hence the name of the game. 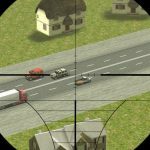 Your goal is to pick up and drop off as many passengers as possible, though you won’t be limited to taxis as your mode of transport in the game; you can unlock other cars, or even police vehicles, which you’ll also be using to transport passengers from point A to point B. And as you drive your cab (or your vehicle in general), you’ll have to deal with “environment and traffic rules,” trying to avoid careening into other vehicles or obstacles. You can also win prizes through different mini-games, as well as daily logins. Pardon us if you’ve heard this before, but the mechanics of Loop Taxi are easy to learn, but hard to master. It seems very cut-and-dry to transport passengers like you do in this game, but as you’ll find out soon enough, it can be a chore dealing with all that traffic. So read on as we now bring you a Loop Taxi strategy guide for higher scores, more in-game currency, and more cars to unlock. There are only two controls in this game, and that’s the brake and the accelerator. There’s no actual button to press here, but holding on to the lower left side of your screen allows you to hit the brakes, while holding on the lower right side allows you to accelerate. The goal here is to pass through from one end of the street to the next, pick up passengers (you’re initially limited to two, though other vehicles can hold more), and drive back to where you started. 2. When Should You Floor It, And When Should You Brake? Timing your braking and your acceleration is paramount for success in this game. As a general rule, you should not be playing it safe in this game; conservative driving, ironically, could easily be your downfall in Loop Taxi. Normally, you want to be threading the needle, squeezing yourself in between vehicles at full speed, rather than braking in the middle of your run from one intersection to the next; that’ll only have you getting hit by cars. Hit the brakes in such a way that you stop right at an intersection, and you’ll be fine more often than you’re not. And hit on the accelerator if you see a large enough opening based on the position and the speed of the passing vehicles. It may take lots of practice, but you’ll get the hang of it eventually. As a bonus tip to convince you to take more risks, close shaves with passing vehicles earn you additional coins – it won’t be as much as the coins you earn for picking up and dropping off passengers, but a couple extra coins is better than none at all. Once again, we have to remind you that playing conservatively won’t earn you too many favors. If you leave your taxi idling for too long, and if you spend too much time looking for an opening, your ride will make an abrupt right turn, ending your run and costing you 20 coins. Learn how to think quickly, because you wouldn’t want to lose all that money just because it took you too long to decide when to floor it and move forward. Sometimes, it’s just better to crash into a regular vehicle (meaning one without flashing red lights – more on that in a bit) and lose nothing rather than wait too long and lose all those coins. We’re speaking in general terms here, because the vehicles you may encounter include police cars, ambulances, and fire trucks. If you end your run by getting hit/hitting an ordinary vehicle, you don’t lose any money. But if a cop car, ambulance, or fire truck collides in to you, or if you collide into it, you’ll lose ten coins and end your run nonetheless. After all, those vehicles are driven by people with important jobs – fighting crime, saving lives, and putting out fires, respectively. On occasion, you’ll have a chance to drive into power-ups. One of them, which is colored red, allows you to work faster by immediately (albeit temporarily) activating the red traffic light. That forces all vehicles except the aforementioned cop cars, ambulances, and fire trucks to stop at the traffic light. You can also run into a blue “nitro” power-up, which temporarily increases the speed of your ride. If you want to collect one of those power-ups, make sure to act quickly as they disappear after a few seconds, but don’t chase the at the expense of a potential collision! Now that’s one exception to the “don’t play it safe” rule we told you about earlier. 6. How Do Tickets Work? Every few minutes or so, with the interval increasing with each gift box you open, you’ll have a chance to open up a gift box after your run is over. These gift boxes contain tickets, which you can use to play the mini-games. These may include spinning a wheel, opening cards with letters to spell out a word, and opening stickers in hopes of coming up with three matching ones. 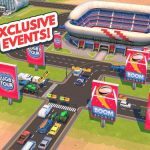 Winning in these mini-games will earn you prizes such as coins and new cars, so if you’ve got enough tickets, go play a mini-game when Loop Taxi asks if you want to play ‘em! This one’s easy to overlook, but we were able to find it nonetheless. See the hourglass icon on the bottom of your screen on the main menu? Tap on that and you’ll be shown a list of timed quests. Make sure that you accept these quests, as they won’t auto-accept like they do on most other games. These are achievements you should complete within the allotted time, such as having a certain number of near-misses, collecting a certain number of coins, etc. Once you’ve completed the quest, you’ll be richly rewarded, not just in the form of coins, but also in the form of tickets, or maybe even a free car! Gameguru rewards those who regularly play the game, so you’ll want to play Loop Taxi at least a few minutes each day. You will earn coin rewards for each consecutive day through the seventh, after which everything resets. Your daily login streak will also reset if you miss a day, so make it a point to open the game and play a few runs, even for a few minutes if you’re really busy! 9. How To Spend Your Coins? 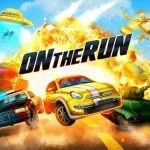 Aside from winning coins through the mini-games, quests, and daily logins, you will, of course, earn more of them as you go on more runs and pick up more passengers. You can use your coins to buy new cars – you start with three taxis with different colors, which all perform the same and allow you to pick up two passengers. The other cars, though, perform differently and may hold more people, so you may want to save up your coins for this. Additionally, you can buy new environments with your coins. The city setting is the default, but if you buy the military setting for a thousand coins, for instance, you’ll earn more per pair of passengers you pick up, but deal with speeding trains as an additional obstacle. We hope you’ve enjoyed our exclusive list of tips and tricks for Loop Taxi. In case we discover more hints for the game in the near future, then we will update this guide.